With such a wide range of requirements the equipment in the kitchens needs to be 100% reliable. “We have a lot of Rational equipment,” says Jeff. The kitchens at the Balmoral include a diverse selection of Rational’s range. This includes ten combi ovens, a mix of VarioCookingCenters (VCC), SelfCookingCenters (SCC) and CombiMaster Plus units. While the SelfCookingCenter units integrate Rational’s advanced software to control every step of the cooking process. 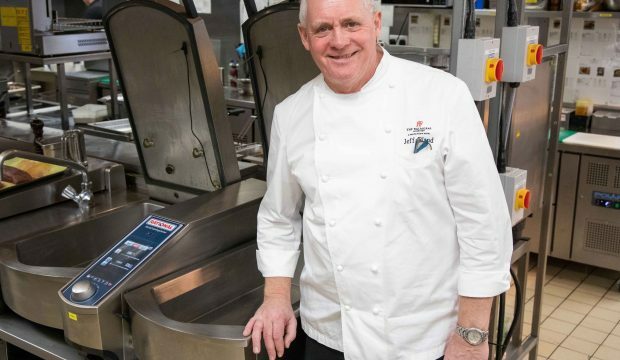 The units at the Balmoral range from the XS, which is 55.5cm deep and 65.5cm wide, to the 202 unit, which can hold 20 2/1 Gastronorm pans and prepare up to 500 meals a day. With so many chefs trained on and used to working on traditional equipment, introducing modern technology can seem challenging, but Jeff was impressed at the level of support Rational offers. “Like most chefs, we’re usually too busy and we were a little worried about how we’d have time to learn to use the new equipment,” he explains. “The training sessions Rational organises were fantastic in that regard, plenty of great advice.